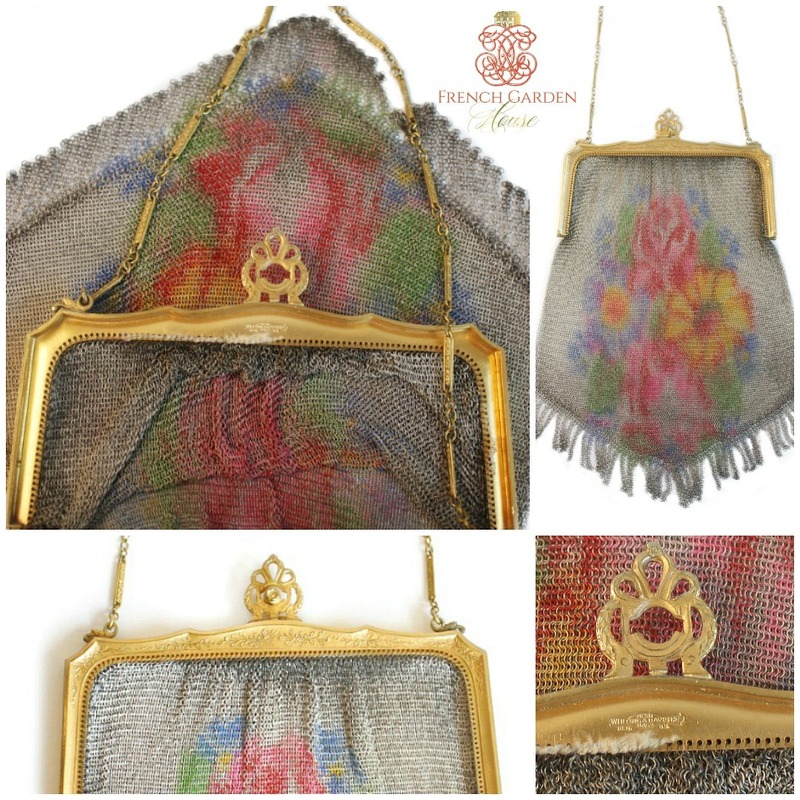 Whiting & Davis Dresden Baby Mesh Purse with a decorative floral design with gorgeous Roses, an iconic art deco floral design, remniscent of the art nouveau movement. The colors are pink, red, blue, green, lavender purple and yellow on a silvery beige background. 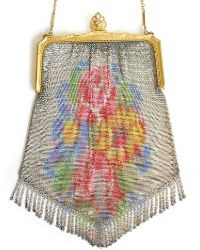 The gold frame is embossed with delicate flowers, both sides are the same. Exceptional in design, and large, almost 5" wide at the hinge x 9" long to tip of fringe. It is signed on the frame inside and has the classic Whiting & Davis bar and link chain handle. 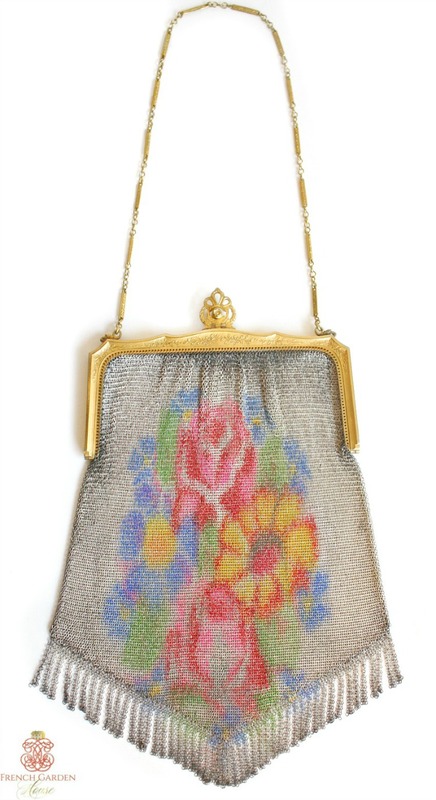 A fabulous addition to your flapper bag collection! There was a silk lining in it at one time but it was removed before I bought it, certainly not needed. 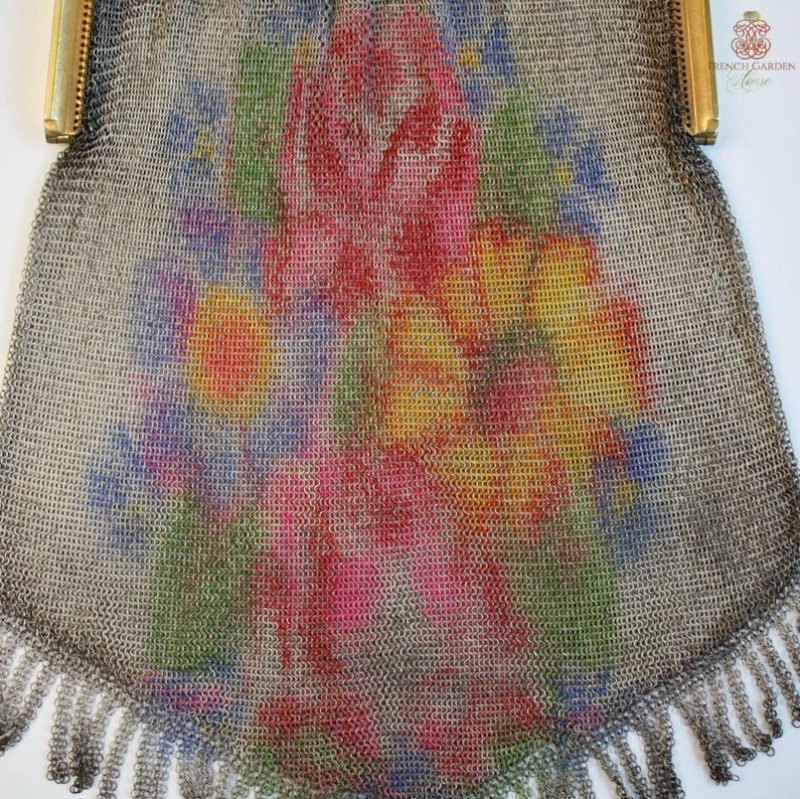 Wonderful to find a collectable bag in this fine quality condition, from a collector. Marked on the inside of frame. Measures almost 5" x 9" long.